Citrus Vanilla Aromatherapy Toner & Body Mist 4oz. 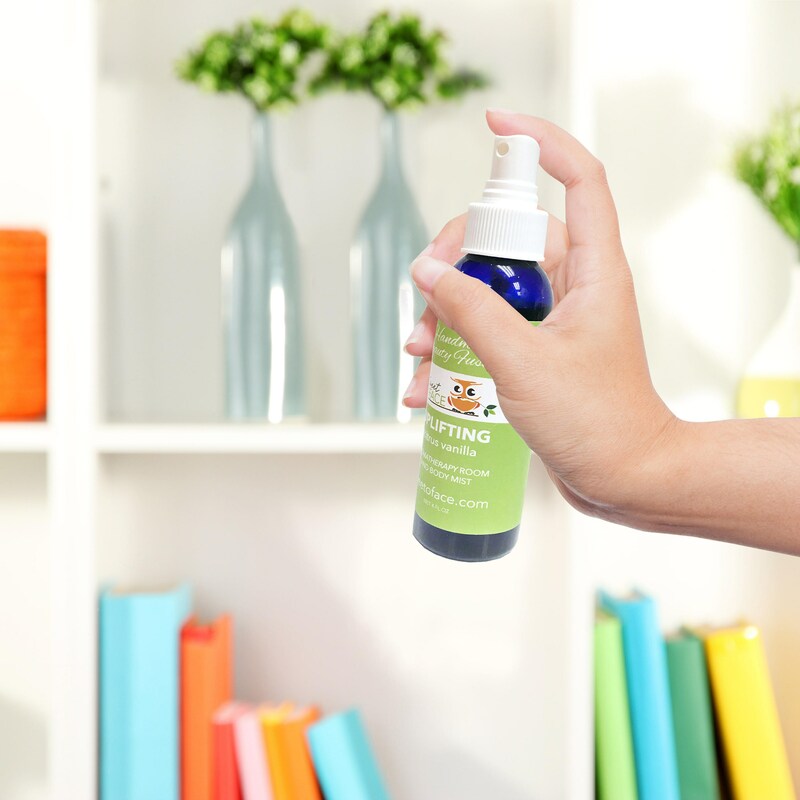 Our aromatherapy mist contains therapeutic essential oils and hydrosol water to enliven the atmosphere of any room, refresh and balance your skin. Infused with unique combination of Sweet Orange, Lime and Vanilla pure, therapeutic-grade essential oils. With an aroma that is the perfect blend of tropical and citrus, this blend is uniquely relaxing and comforting. Using a crisp and refreshing hydrosol distilled from whole organic lime fruits that can also be used for oily skin. 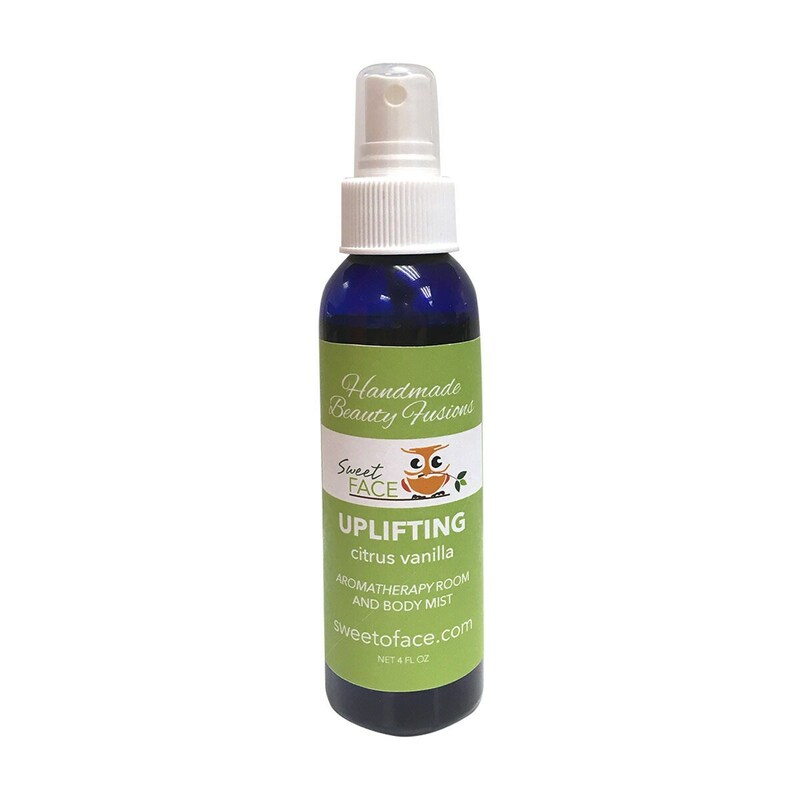 Use it as a rejuvenating facial toner or aroma spray. Fresh, festive and invigorating. Hold 6 inches from the body and spray. Always shake before using. All Sweet Face products are handcrafted. We use the finest, natural and sustainable ingredients and are made in small batches to ensure purity. To achieve the desired aromas we use therapeutic grade essential oils and cold process fusion techniques. Our products are all Paraben Free, Sulfate Fee, Petroleum Free, Phthalate Free, Free of Synthetic Dyes.